As the speeds have grown over the last forty years, improvements in car safety and medical care has also gotten better. Dr. Stephen Olvey writes about his experiences at the race track. 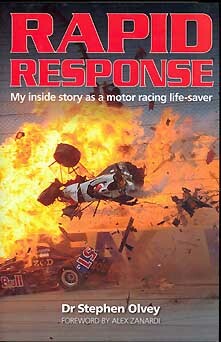 Some were tragic like Greg Moore's accident and sometimes lives were saved by their heroic actions like in the case of Alex Zanardi. A very interesting story by the Doctor who was there as history was being made.